Cablevision Systems reached agreement with News Corp. to return Fox programming to Cablevision Saturday. The channels returend to Cablevision in time for Saturday's World Series game and Sunday's NFL match-up between the New York Jets and Green Bay Packers. “In the absence of any meaningful action from the FCC, Cablevision has agreed to pay Fox an unfair price for multiple channels of its programming including many in which our customers have little or no interest. Cablevision conceded because it does not think its customers should any longer be denied the Fox programs they wish to see. The channels returning to Cablevision are Fox 5 (WNYW), Fox 29 (WTXF), My9, Fox Business Network, National Geographic Wild and Fox Deportes. They had been blacked out since October 16, after Fox and Cablevision began their dispute over payment fees. Just last Wednesday,Cablevision made an offer to pay Fox more for its TV stations in New York and Philadelphia, but Fox quickly rejected the offer, calling it "incomplete." Cablevision made the last-ditch proposal, saying it is willing to pay the same rate as Time Warner Cable for signals from Fox 5 in New York and Fox 29 in Philadelphia for one year, even though the rate is more than it pays for any other New York broadcast station. The statement did not explain what it was offering for My9 in New York and cable channels Fox Business Network, NatGeo Wild and Fox Deportes, which are also part of the fee dispute. Fox, a unit of News Corp ., said the rate was meant as a package deal, and called Cablevision's statement "yet another in a long line of publicity stunts." "Cablevision is seeking a discounted 'package rate' without buying the entire package," Fox said in a statement. About 3 million Cablevision subscribers, mostly in New York, have been without Fox signals since Oct. 16. 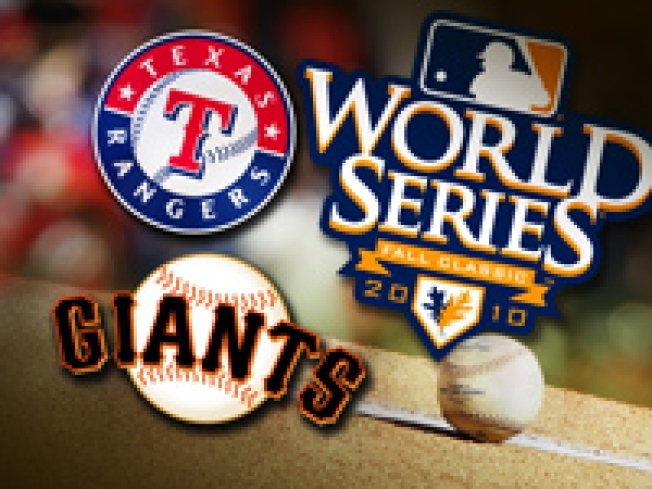 Fox has the exclusive broadcast rights to this year's World Series between the Texas Rangers and San Francisco Giants. Fox's broadcast of the National League championship series, which the Giants won over the Philadelphia Phillies in six games, was blacked out to Cablevision customers. Cablevision said earlier that its new offer is "in the best interest of not only baseball fans but of all Cablevision customers and Fox viewers." On Tuesday, Cablevision CEO James Dolan sent a letter to Federal Communications Commission Chairman Julius Genakowski urging him to mediate the dispute, and saying he was ready to come to Washington, D.C., with "new, constructive offers." Fox has consistently rejected mediation. Last week, the FCC demanded information from both companies seeking proof that they were negotiating in good faith. Such good faith negotiations are a requirement in a law that allows broadcasters to bargain with cable and satellite companies for fees to carry TVsignals that are otherwise sent freely to anyone with a proper antenna. Cablevision told the FCC that Fox had demanded that Cablevision pay the same rate as Time Warner Cable for Fox 5 because of a previous deal that guaranteed Time Warner Cable would pay the lowest rate offered to any other distributor. If Fox dropped the rate, it would have to return money to Time Warner Cable, Cablevision said.